Customize video resolution, bit rate, frame rate. There are many reasons behind video compression, but arguably the best possible reason is the need to be able to share these videos with friends and family. For example, you have shot some videos and want to share the video file with your friends on YouTube Instagram, Twitter, Facebook or any other social media platform, however, the videos are large and you will need a resize video file software to handle the compression. Compressing a video is important if you want it to be easily viewed by people on the internet. Of course, some professional video editor such as Adobe Premiere can compression videos with ease, but you can also reduce the video size with the free Windows Movie Maker. 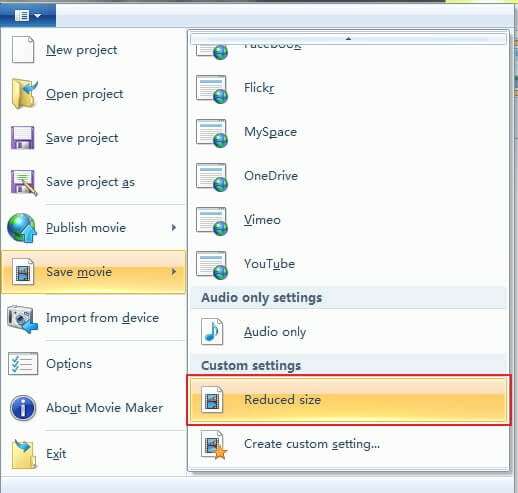 The best thing about how to reduce video file size in Windows Movie Maker is the fact that anyone can do it – even theultimate beginner , and do it for free. 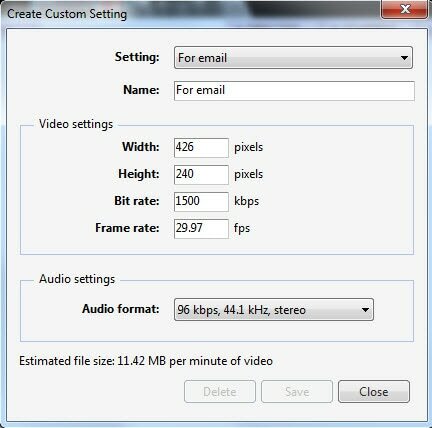 With that said, here are steps of how to reduce video file size in Windows Movie Maker. As you may know that Windows Movie Maker is not available to download from Microsoft now since it has been discontinued in January 2017. So, if you are a Windows 10 user or there is no Windows Movie Maker on your computer, you need to download it from somewhere else. 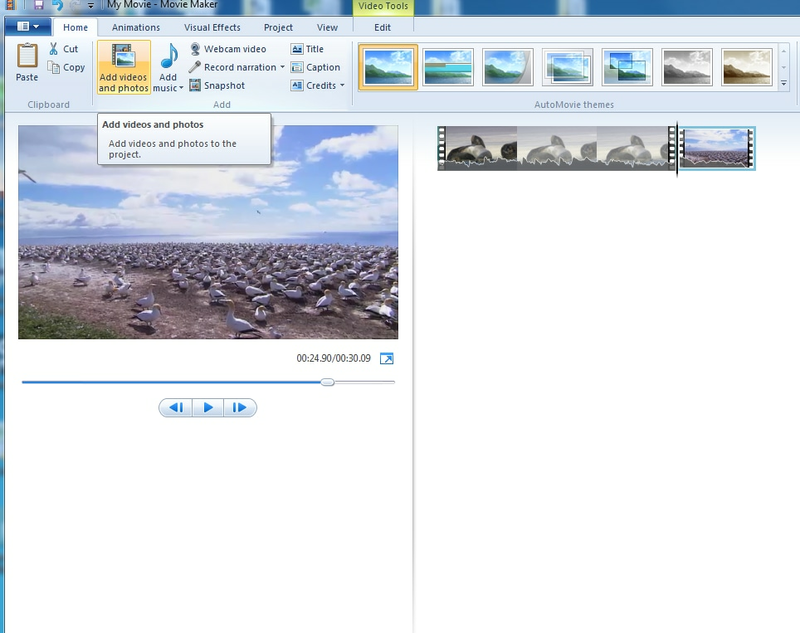 And the best copy that you can get is Windows Movie Maker 2.6. We recommend you to try Wondershare Filmora to reduce video file because it is available for both Windows 7, Windows 8 and Windows 10 systems, as well as Mac OS. Filmora can perform the similar task and some other advanced editing tasks, especially for Mac users who do not have access to this Windows video editing software. With Filmora, you can reduce the video size to change the video look visually or change the actual video file size in terms of megabytes or gigabytes. To resize the video file size in Filmora is easy, just Import the video files to the timeline and then change the Export settings. Here is the how to reduce video file size with Filmora movie maker on Windows. Import videos into the Media Library first and then check the Properties of the original video including video file size, video format, and audio format. Video resolution and bitrate are the two most important indicators to change the size of the video file. Drag and drop the video to timeline and preview it. You can remove unwanted parts from the video, or add texts to the video and do some basic editing as well as rotating and cropping. Click Export tab in the toolbar to enter the Export window. While you can see the video size of the video. Since saving videos to different video formats will have different video size, you can choose a format which will save the video in a smaller size, but the most common video format is MP4. 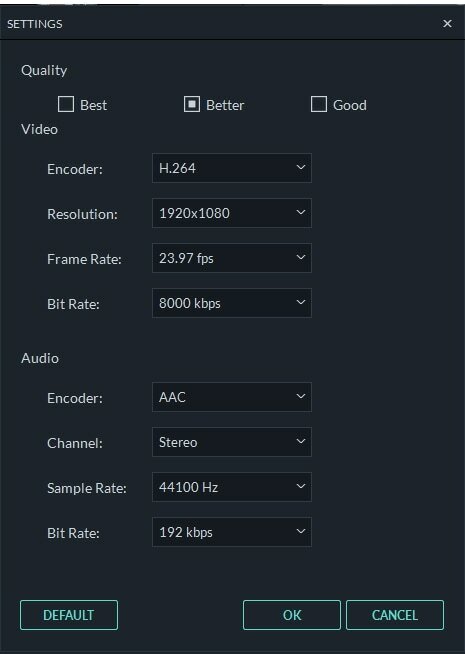 To resize the video size further, you need to change the resolution, the video bitrate and the audio bitrate as well in the Export Settings windows. 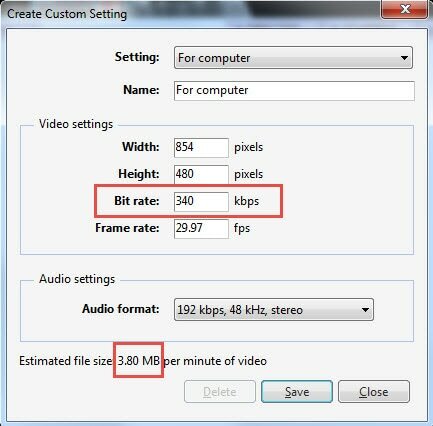 To reduce the video file size, you can lower the resolution and bit rate. Lowering resolution will decrease the number of pixels in the video, and setting bit rate lower may cause video quality loss. Click OK to apply these changes and go ahead to export the video. It is powerful and yet easy to use. You can perform multiple overlays and transitions. You have access to a built-in audio mixer as well as an equalizer. Color correction features such as White Balance, 3D LUTs, Vignette. Supports all common video, audio, image formats. Before we get started to reducing video files in Windows Movie Maker, please check your video size and the format as well. Windows Movie Maker doesn’t support all video file type. If you file is not supported, you may need to convert it first. The steps and screenshots below is taken from Windows Movie Maker 2012, if you are using a different version such as Windows Movie Maker 2.6, you may find they share different user interfaces. But, the function of reducing video files is virtually identical. Launch the Windows Movie Maker software from your computer. Once the software opens, look for the Add Videos and Photos icon on the left pane and select it to select the video you want to resize, and it will be automatically uploaded onto the Windows Movie Maker. Here you can edit the video such as trimming, splitting, adding music, transitions etc. After you are done with the edits – if any, on the upper left pane, select the File option and then on the drop-down menu, select the Save Movie File option, then Create custom setting. 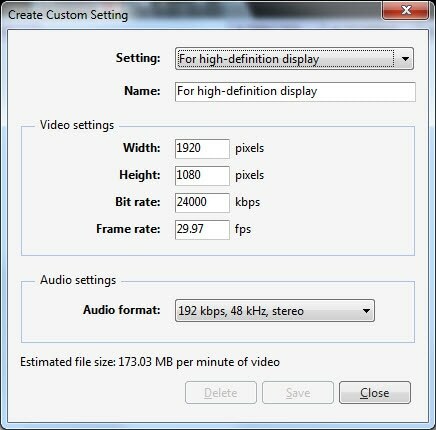 Or you can directly adjust the bit rates in the Video settings to reduce video size. In the Create Custom Setting window, enter a new name for the Setting and it will be saved with .wlvs format. Then go to Save Movie option again and then click the file in Custom Settings. In my case, I just named it as Reduced Size. Click it and save the video into MP4. Click Save to start the compression of the video file. It will take some time to compress and save the video file. Above are the two movie makers that you can use on Windows to reduce the video size by saving with different bitrates or resolutions. 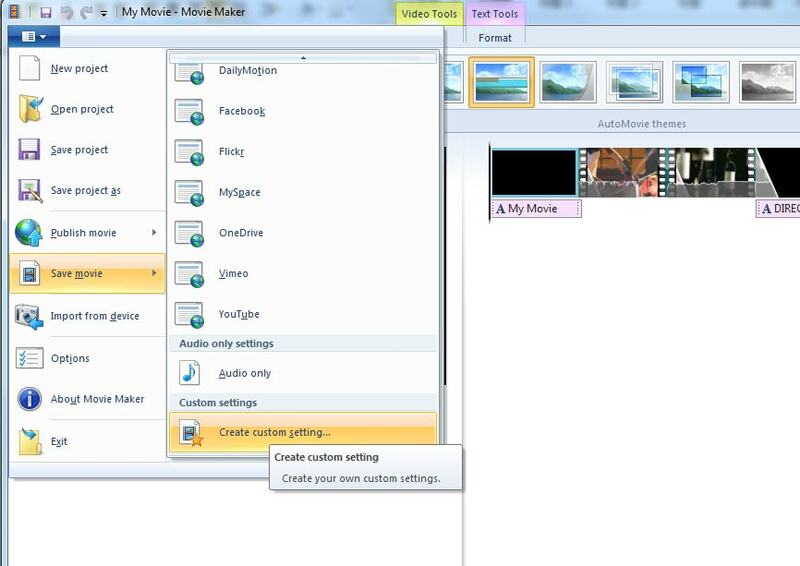 If you are not familiar with Windows Movie Maker yet, you can check our guide of How to Edit Video in Windows Movie Maker such as zoom in videos or combine two or more clips into one. For people who want to empower your video with more creativity, I recommend you to use Filmora, which provides stunning filters, overlay, elements and transitions as well as royalty free music sound. Watch the video below to check how to edit video with Filmora into next level.